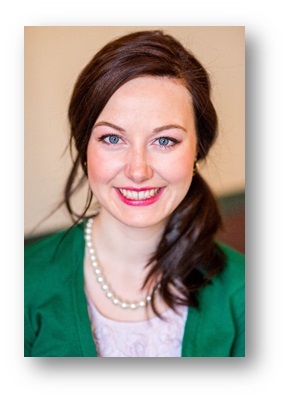 Alyssa completed a Bachelor of Education Degree with a specialization in High School Education from McGill University in May of 2013. She currently works as an English teacher in Montreal and is looking to pursue a Masters Degree in Education in the next few years. Alyssa considers teaching the career of her dreams and appreciates the fact that it allows her to inspire others and to continually challenge herself. This 26-year-old Winnipeg native is a National Champion Wrestler, a National and International Judo Champion, and a two-time Canada Games Medallist. 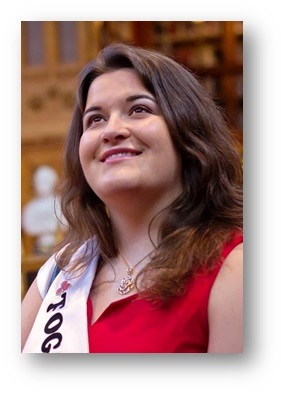 She was named the 2013 Queen of the St. Patrick’s Day parade in Montreal and is an active member of the St. Patrick’s Society. She is also a strong advocate for animal rights and protection. Alyssa’s Irish roots can be traced to County Down on her father’s side. Becky is completing a four-year Bachelor of Arts degree in Linguistics and Celtic Studies at the University of Ottawa this April 2016. Her plans are to complete a second degree in Psychology or Counselling, as she is interested in pursuing either forensic linguistics or trauma psychology as a career. She currently works part-time as a receptionist for Kirk Orthodontics and also as an independent consultant for Arbonne skincare. From Elliot Lake, Ontario, 26-year-old Becky now calls Ottawa home and has a true appreciation for the liveliness and buildings of her city. Becky has renovated many homes and truly believes in restoring a home’s beauty. 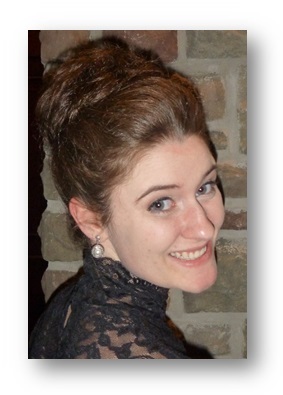 She considers herself as a « forever student », and loves to read, sew, bake, and play piano. Becky’s Irish roots can be traced back to County Fermanagh. 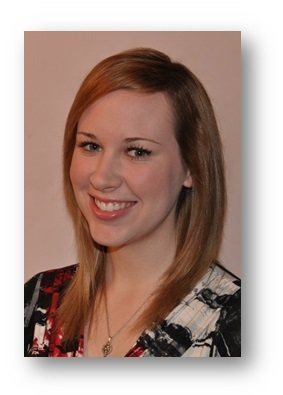 Genevieve currently works in the public service for the Canada Border Services Agency. Having graduated from Carleton University in June 2015 with High Distinction, she now holds a Bachelor of Arts with a Major in English Literature and a Minor in Psychology, and hopes to complete a Master’s program in the near future. During the third year of her degree, Genevieve studied abroad for a semester at Maynooth University in Co. Kildare, Ireland. This Ottawa-born 22-year old has been actively present in her community by volunteering for several organizations, including the Ottawa Network for Education and the Government of Canada Workplace Charitable Campaign. In her free time, Genevieve has a true appreciation for art and enjoys reading, writing, and attending cultural events throughout the city. Her Irish roots stem from her mother’s side, originating from Wexford, Monaghan, and Cork. Jazmyn is currently completing her final semester at LaSalle College in Hotel Management. This 21-year-old full-time student gives importance to health and wellness, and plans to manage her own Spa once her studies are completed. Jazmyn grew up in LaSalle playing a variety of sports including figure skating, baseball and hockey, and developed a true passion for soccer. She had the honour of playing in an international tournament at the ESPN centre in Florida. Jazmyn’s hobbies include jogging along the waterfront in LaSalle, following hockey and attempting new recipes. She also has a keen interest for travelling and learning about new cultures. Her Irish roots are from County Cork, her O’Brien family having immigrated to New Brunswick in the mid-nineteenth century. The family moved to the Montreal area in the early-twentieth century. Jennifer lives in Dorval Quebec, working as a Nurse Clinician at the Jewish General Hospital in Montreal. She completed her Master of Science in Global Health at Trinity College, Dublin; holds a Bachelor of Nursing Science from Queen's University in Kingston; and a Diploma in Nursing from John Abbott College. At 26, Jennifer has aspirations to further her academic education and pursue a PhD in Global Health. She would like to work for an international aid organization, specializing in the promotion of maternal-child health. 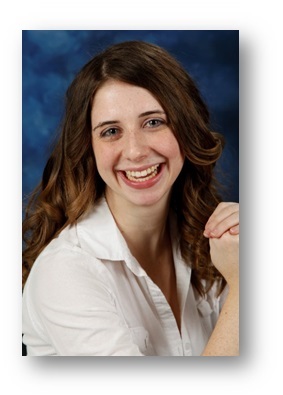 Outside her professional career, Jennifer enjoys horseback riding, Irish dancing and playing the piano. She got her PADI license for SCUBA diving while on a trip to the Great Barrier Reef, Australia. Some of Jennifer’s Irish roots are from Co. Louth, with Irish ancestry on both sides of her family. Kathleen is 26 years old, living in Ottawa where she works as an Accounts Clerk for Transport Canada in the federal public service. Kathleen started curling in kindergarten and was an avid soccer player with the Opeongo Soccer Association growing up. She continues working on her curling game and is looking to become a female competitive coach. She has teaching aspirations professionally too, having obtained her Bachelor of Education and Bachelor of Arts Honours in Psychology with a French minor. In university, Kathleen was a recipient of both a President's Scholarship and Queen Elizabeth Scholarship. Kathleen is a keen baker, loves hiking, camping, travelling, and do-it-yourself crafts. She has been told she is a true Irishwoman - strong willed, charismatic, and full of life with her father's family from Co. Limerick and mother's family tracing back to Co. Limerick and Co. Kilkenny. From Pointe-Claire, Québec, 23-year-old Kristen just completed her degree at Concordia University, specialising in Environmental sciences with a minor in Sustainability Studies. 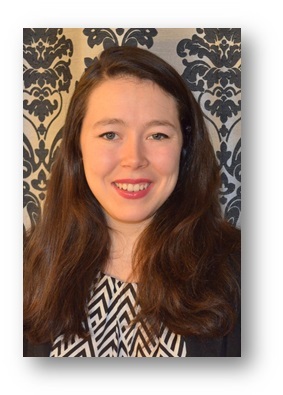 Kristen received the honour of being elected the President of the Geography Undergraduate Student Society and studied abroad during her third semester at Keele University in England. She would like to pursue a Masters program in applied sciences with the goal of working in industry to lessen the impact on the world, socially and environmentally. Kristen loves spending her time hiking, kayaking, winter camping, and rock climbing. A long-time member of the Royal Canadian Air Cadets, Kristen was awarded many medals and awards for exceptional leadership and citizenship, and received the Gold Medal Duke of Edinburgh Award in 2011. In the same year, she also travelled to Peru on a humanitarian mission. Kristen’s Irish roots stem from County Louth. 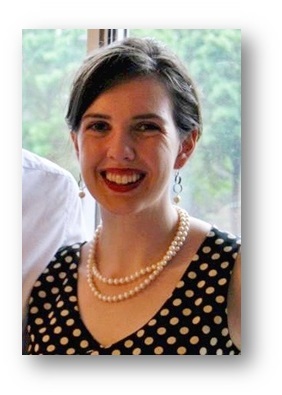 Sarah has an Honours Bachelor of Arts with specialization in Linguistics and a minor in Celtic Studies from the University of Ottawa as well as a diploma from Dawson College in Modern Languages. She would like to complete a one-year graduate certificate, starting in the fall, to be a Communicative Disorders Assistant. Born in Montreal, Sarah now lives outside of Ottawa in Lanark County. This 23-year old’s focus for the past 11 years has been competitive Irish dancing with Moran Academy in Deux-Montagnes, and Sue Fay Healy Irish Dance Studio in Ottawa. Sarah has competed at multiple championships, her most recent being the 2015 All Ireland Championships in Killarney, Co. Kerry. In the same year, Sarah received an Ireland-Canada University Fund (ICUF) scholarship to study Irish for a month in Galway. Her paternal great-grandfather emigrated from Co. Carlow and maternal great-great-grandfather left Co. Kerry, both to settle in Quebec. 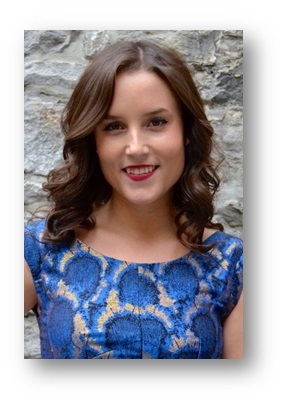 Siobhan will be graduating from the University of Ottawa in the spring with a Bachelor's of Arts degree with Honors, majoring in Communication and minoring in Theatre. This Ottawa-born 22-year old comes from an Irish dancing family and hopes to follow her mother’s footsteps to become a certified dance teacher with An Coimisiún Le Rinci Gaelacha. Siobhan is now competing for the Trillium Academy of Irish Dance at the Open Championship level. A moment she will never forget is having the opportunity to share the stage with Cara Butler and the Chieftans. Siobhan also has an interest in social advocacy and volunteers with Ottawa's Association of Community Organizations for Reform Now (ACORN). 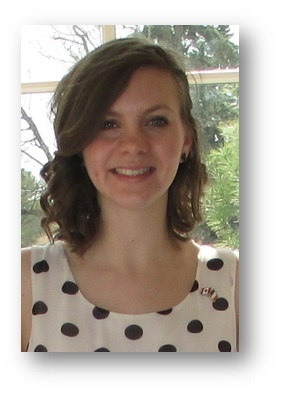 She is currently interning as a Junior Policy Analyst for Employment and Social Development Canada. Siobhan’s Grandmother hails from Co. Donegal and has returned to be with them after raising her own children here in Ottawa. Ottawa local Trish has a Bachelor of Science from St. Francis Xavier University; a Bachelor of Education from Lakehead University and most recently obtained her Master’s Certificate in Project Management from the Sprott School of Business at Carleton University. While a certified teacher, Trish is currently the National Office Youth Program Developer for St. John Ambulance Canada, doing educational outreach and curriculum development for the international not-for-profit organization. 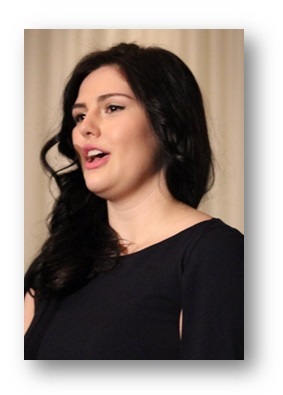 This 27-year old is a member of Comhaltas Ceoltóirí Éireann Ottawa who enjoys attending the monthly céilís. Trish is also a long-time volunteer with Girl Guides of Canada and Tim Horton’s Children Foundation offering bilingual programming. Her Irish roots are on both sides of her family with paternal ancestors from Co. Cork and Co. Westmeath, and her maternal O’Brien and Keefe families having immigrated to Newfoundland from Ireland in the mid-nineteenth century.